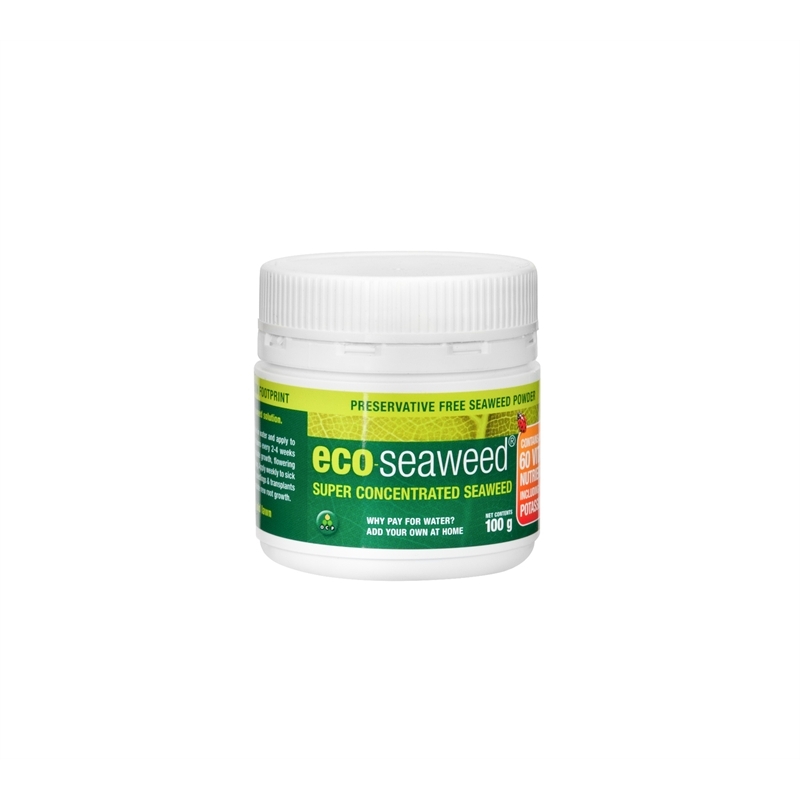 Eco-seaweed is a registered organic powdered seaweed extract used to stimulate many plant activities like improved growth, flowering and fruiting, enhanced root development and reduced stress factors. 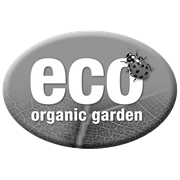 Extremely concentrated, Eco-seaweed is 100 percent soluble in water and can be applied via watering can to the soil or in a sprayer as a foliage spray. 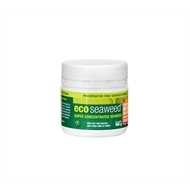 It contains no preservatives and this 100g pack makes 200 litres of seaweed solution. Sustainably harvested from seaweed beds that are allowed to regrow before harvesting occurs again.